President Muhammadu Buhari, and former vice-president Atiku Abubakar, and some other leading candidates for the 2019 presidential elections are missing at the first 2019 presidential debate. The debate, which is currently holding in Abuja, and hosted by The Osasu Show, and supported by ONE campaign, Connected Development (CODE), and YALI Abuja, has Oby Ezekwesili in attendance. 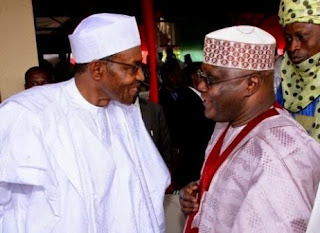 Atiku, who is the Peoples Democratic Party (PDP) candidate, sent in Segun Sowunmi to represent him at the event, while President Buhari of the APC sent in no representative for the debate. Rotimi Amaechi, the minister of transportation, is present at the event, but did not represent the president at the actual debate.